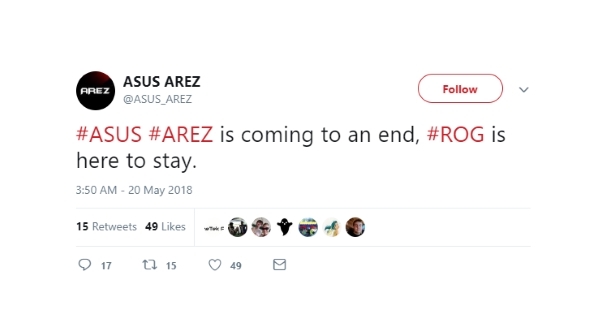 There are a lot of stories going around at the moment claiming Asus have officially ended their Arez brand graphics cards because of one fake Twitter account. There’s absolutely no truth to it and Asus have now confirmed to us that they will continue to sell the Arez cards. The expectation has been that, as a result of Nvidia pulling the plug on their GeForce Partner Program (GPP), Asus would switch back to using the classic Republic of Gamers branding for their AMD Radeon cards. Partners in Nvidia’s GPP were required to have separate graphics card brands for their AMD Radeon and GeForce options. Check out our pick of the best graphics cards around today. 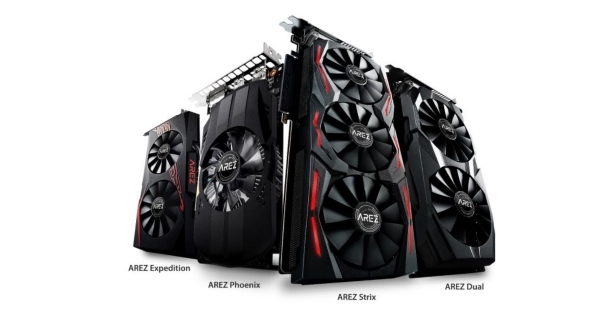 Asus previously had unveiled their AMD-exclusive Arez brand of graphics cards, which essentially just uses the same existing cooler design as the ROG-branded GPUs but with a new Arez sticker. Most people assumed once GPP was dropped Asus would just start peeling those new stickers off again, but that is most definitely not going to be the case. Jason Evangelo from Forbes spotted the dodginess first, and we subseqeuntly got in touch with Asus to confirm whether the account was real and what the current status is of the Arez brand. Turns out the dodgy Twitter handle was even using a logo faked up by WCCFTech. Asus confirmed they’re still going ahead with the AMD-exclusive Arez brand despite the cancellation of the GeForce Partner Program and have now had the Twitter account suspended too. The big problem people had with Nvidia’s GPP was that it was allegedly anti-competitive and cut the choice consumers had over what graphics cards they could buy. In the end all it seemed to really be doing was to frustrate their add-in board (AIB) partners who then kicked up a fuss at having to separate out their Nvidia and AMD brands… despite generally releasing countless unfocused brands seemingly on a whim. Of course there was always the thorny question of Nvidia wanting more call over where the marketing money they gave partners was spent too. No evidence was ever given as to how Nvidia were harming consumer choice, but Nvidia still decided to cull the program rather than battle the “misinformation” that was spread around it. To be honest, they really should have battled the misinformation a little harder, because as it stands there’s still an unpleasant odour wafting around the very mention of GPP.